At Medical Spa Club in Richmond BC, our vein clinic offers treatment for varicose veins, spider veins, and unwanted blood vessels. We can help you with the unwanted side effects, which include leg swelling, aches, feeling tired, and the overall appearance. The techniques and technologies used for the treatment of the unwanted blood vessels will vary dependent on the type of the vessels, disease process involved, and your personal choice. 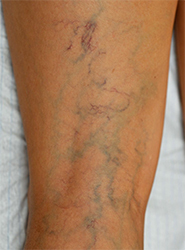 Varicose veins are distended twisted ropy veins, most often found on legs. The word “varicose” originated from a Latin root “varix” for twisted. They are veins belonging to the superficial venous network that no longer function properly due to failure of their internal valves. Thus, the blood flow in these veins are much slower than normal, resulting in stagnation and back-pressure, causing problems in surrounding tissues. Although varicose veins are not necessarily painful, they may cause problems such as leg heaviness, pain, cramps, swelling, skin discoloration with or without itching, and skin ulcers. What are Unwanted Blood Cells? 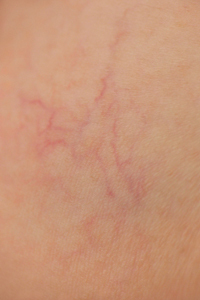 Unwanted Blood Vessels can vary from small dilated capillaries causing redness of ones face or nose, to telangiectatic vessels and spider veins causing red or blue streaks on face, legs, and body, to ulcer-causing large trunks of ropy-appearing varicose veins on one’s legs. How our Vein Clinic works? Our Vein Clinic uses different procedures to remove these unwanted vessels. Broadband Laser (BBL) and vascular laser (Nd:YAG) procedures treat smaller unwanted blood vessels on the face. Medium to large sized vessels, reticular and spider veins are often treated with injection sclerotherapy. This involves injecting a sclerosing solution or foam into the affected vein, usually followed by compression with a compressive stocking, causing the treated vessels to collapse and to scar-up, becoming invisible. 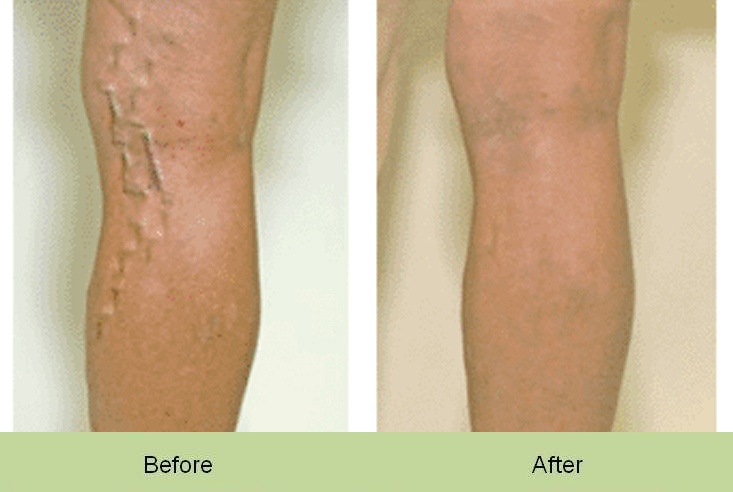 What is Sclerotherapy of Varicose Veins and Spider Veins? Sclerotherapy is a minimally invasive treatment used to treat varicose and spider veins. The procedure involves the injection of a solution directly into the affected veins, causing them to shrink and eventually disappear. Newer variation on the technique is to create a foam using a sclerosant solution and either CO2 gas or air, and to inject this foam. Foam Sclerotherapy is more effective and uses less sclerosant solution. What are some common uses of Sclerotherapy? Sclerotherapy is used to improve the cosmetic appearance of spider veins and to relieve some of the symptoms associated with spider veins, including aching, burning, swelling and night cramps. It is the primary treatment for small varicose veins in the legs. All medications that you are taking, including herbal supplements. Recent illnesses or other medical conditions. We may also advise you to stop taking aspirin, non-steroidal anti-inflammatory drugs (NSAIDs) or blood thinners for a specified period of time before your procedure. You may be asked to stop taking iron supplements. No lotion should be applied to legs before or after sclerotherapy. You may want to bring a pair of shorts to wear during the procedure. Please bring your compression stockings to the procedure as you will need to wear them immediately after the procedure. How does Sclerotherapy procedure work? The procedure uses a very fine, thin needle to inject a sterile sclerosing solution into the small veins. 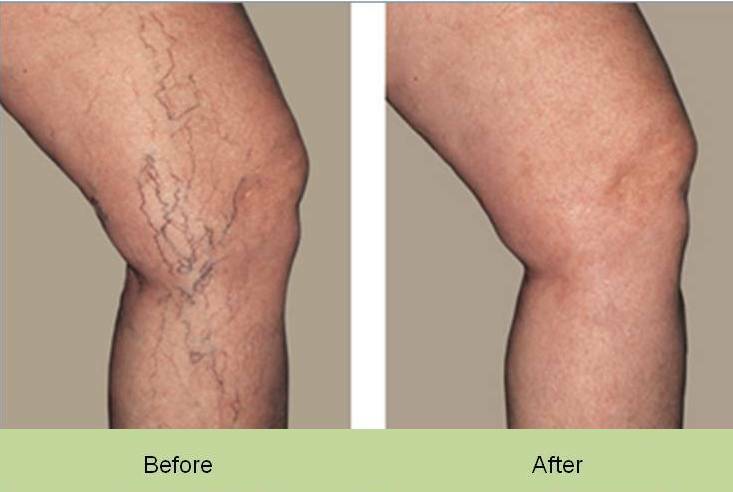 When the sclerosing solution is injected directly into the spider or varicose veins, it irritates the lining of vein, which causes it to swell and to stick together. Over time, the vessel turns into scar tissue that fades from view. How is Sclerotherapy procedure performed? Sclerotherapy is a minimally invasive outpatient procedure. Using a very fine needle, the doctor will inject the vein-sclerosing solution into the varicose and spider veins. As the procedure continues, you will feel small needle sticks and possibly a mild burning sensation. The number of veins treated in one session varies, and depends on the size and location of the veins.The procedure is usually completed within 45 minutes.Immediately after your sclerotherapy session, we advise you to walk for at least 30 minutes, wearing your compression hosiery, in order to flush the blood that may be pooling in your leg veins. This will increase the chances of successful outcome of your procedure. We like to see you for a follow-up visit 2 weeks following sclerotherapy. At that time we examine your veins for superficial clots that may need to be drained for best cosmetic results. This visit also gives you a chance to discuss any side effects or concerns you may have following your procedure. Book a free consultation today. (Varicose vein assessments require a Doctor’s Referral) Call us at 604-284-5501 if you have any questions. Our friendly trained staff will help you every step of the way. Please note that a doctor’s referral is needed for varicose vein patients.